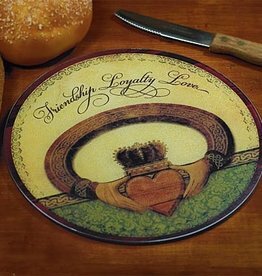 May the love and joy we share be with us ever after. 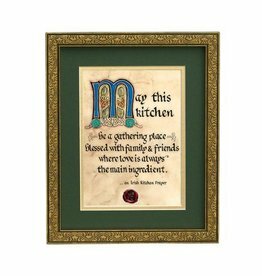 Item is ready to hang and comes boxed. 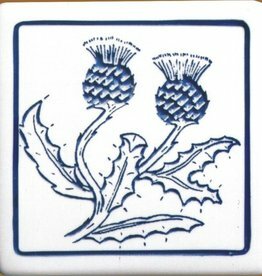 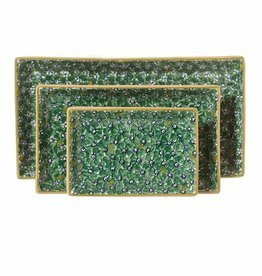 Measures approx 8 1/2" x 12 1/8"
Add a bit of Scotland to your kitchen with this 6" Ceramic Trivet featuring blue Thistles! 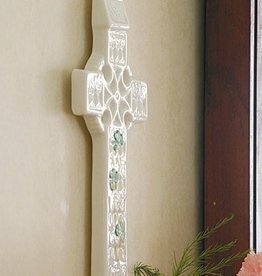 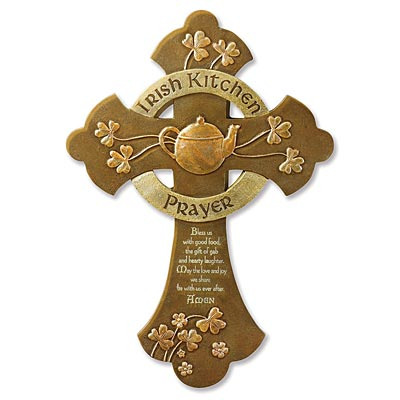 Add a lovely little bit of Irish to your home with this handmade Irish Door Board! 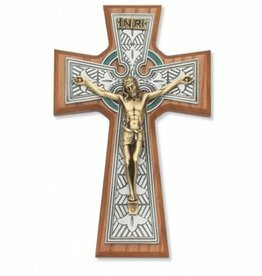 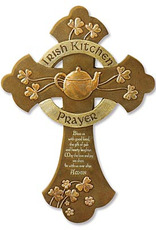 Measuring 30”, this board comes in Black, with a Celtic Knot Heart design on each end! 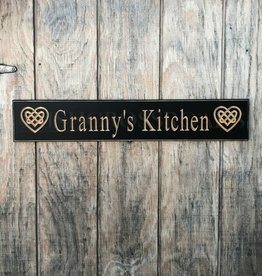 Door Board reads: “Granny’s Kitchen”. 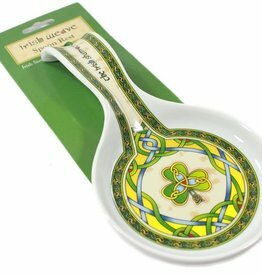 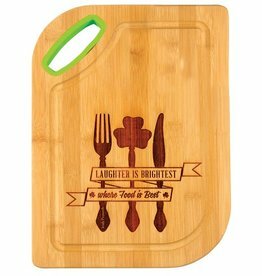 Irish cutting board with Irish Proverb "Laughter is brightest where food is best".